Modern society is plagued by fragmentation. The various sectors of our communities - businesses, schools, social service organizations, churches, government - do not work together. They exist in their own worlds. As do so many individual citizens, who long for connection but end up marginalized, their gifts overlooked, their potential contributions lost. Dubbed by The New Yorker as "one of America's very best singer-songwriters", Dar Williams has made her career not in stadiums, but touring America's small towns. She has played their venues, composed in their coffee shops, and drank in their bars. She has seen these communities struggle but has also seen them thrive in the face of postindustrial identity crises. Here, Williams muses on why some towns flourish while others fail, examining elements from the significance of history and nature to the uniting power of public spaces and food. The law of market failure: Most new products will fail in the market, even if competently executed. Wish I knew about this concept 2 years ago. This book is a guide for leaders seeking to build a community, to strengthen the community they already have, or who may not think of themselves as community leaders but who are envisioning a group they hope to create. These communities can be formal, with official memberships and administrations, or informal, tied by shared values and commitments. Some people think communities happen by accident, or have to emerge organically, but Charles Vogl emphasizes that there are solid, time-honored principles for consciously building them. 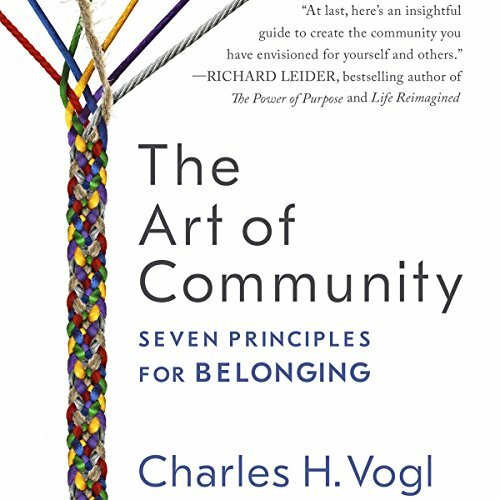 Drawing on 3,000 years of tradition, Vogl lays out seven enduring principles that every community of every kind must master to be effective and supportive. He describes each principle's purpose and provides extensive hands-on tools for implementing them. He also helps leaders ensure that their communities remain healthy and life-affirming and not degenerate into rigid cults. 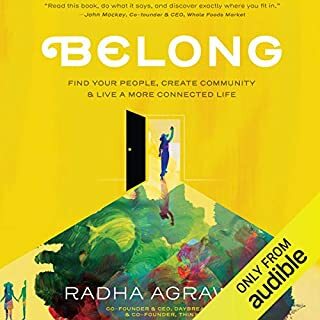 “The Art of Community: Seven Principles for Belonging” is a well-written, well-structured, and excellently delivered business focused book, targeting those in leadership roles, however its teachings can be applied to any person wanting to build or strengthen a community. The book is written by Charles Vogl, and it appears to be his first published work. The audiobook is narrated by Tom Dheere who has nearly fifty titles already narrated on Audible. The book opens by explaining how our lives, whether we see it or not, are impacted and molded by our involvement within various communities we are a part of or seek to become members of. The author discusses the concept of inner and outer “community” rings and how we strive to be a part of an inner ring, yet within that ring we learn there are yet additional inner rings to be sought; a trap if that is our only reason to join a community. An inner ring member has additional privileges that are only given to its members such as executives in a company, etc. The book covers the structure of a community requires with or without our knowledge. What the community stand for, what defines its member, what information is included or excluded, along with many other aspects make up a community. Leadership are those who make many of these decisions listed above, Gatekeepers are those who bridge the gap between outsiders and the inner part of the ring, while Members as those within the community ring, and outsiders are those external to the community ring. The author stresses that it is important to acknowledge, create, and nurture or grow the many communities which are a parts of our lives. I thought the discussion on both formal and information communities was informative. After reading this book you will begin to see the vast number of communities you are involved. The author was able to open with a decent number of statistics and third-party research showing the importance of community and belonging. The book is similar to “Tribes” writing by Seth Godin, with this book being more generic in its application. The author covers each of the seven aspects of a community. These seven include: boundaries, initiation, rituals, stories, symbols, and growth of inner-rings. Communities provide a means of growth, nurturing, and belonging. After reading this book, I began to see the many communities we are all a part of or join to be one of the in-crowd. Social networks are a perfect example of the importance of community. Think of people who overcome a near terminal medial issues, often these people join a community that is specific to their need. You can see that other groups like AA or Weight Watchers fit this same community definition. In relation to the book’s audio narration, Tom Deere does an excellent job of reading the material. The audio is clean, crisp, and without any audio artifacts found in some audiobooks. The audio recording does not contain swallows, background noise, or other general noises. The narrator reads the book at a decent speed, however I found that listening to him at 1.25x felt more comfortable for my listening speed. Mr. Dheere narrates various genres, however his Audible books mostly are made up of Sci-fi & Fantasy books. Because this is a non-fiction business book, it is hard to comment on his ability to voice multiple characters or his use of inflections, etc. Liking his voice and professional recording quality, I would listen to other material produced by this narrator. Disclaimer: This book was provided to the reviewer by the author, narrator, or publisher in exchange for publishing a non-bias review. Keep a notebook if your listening so you can take note of points that resonated. I really enjoyed this book! It was very informative. Community connectedness is very important when establishing a Community. Good intro into community building. 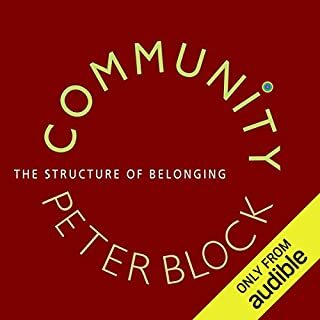 Good introduction to community building but leans too heavily on the author's religious background. Worth a listen as a starting point. If you could sum up The Art of Community: Seven Principles for Belonging in three words, what would they be? 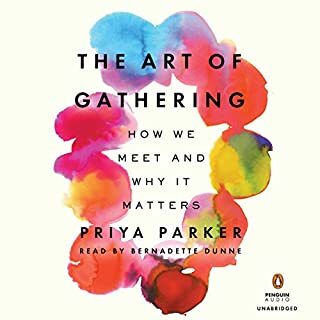 The Art of Community is chock full of real life examples - making it clear what has worked for organizations and groups to grow and increase participation. Rather than being prescriptive, it shows those who are interested in community many ways to create excitement and enthusiasm and belonging, no right way, just ways that have worked. All of the first-hand experiences the author has had. When the author discovered people were asking how to attend the dinners he was hosting and training others to host. People were eager to be invited. I personally realized that I sometimes feel myself pulled to be further and further up the diaconate in my communities, and that is part of my human nature. I found it freeing that I don't have to pursue being in the innermost ring in every community I participate in, and I can experience that in my own community that I am creating with my husband. This book would also be helpful for those who wish to create a movement around a cause, a shift in behavior or consciousness. A sense of community and belonging are very powerful for that. 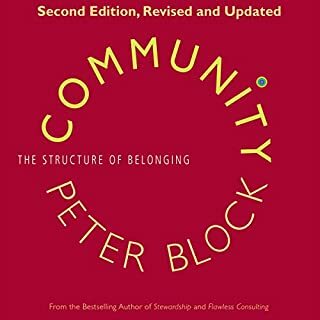 What did you love best about The Art of Community: Seven Principles for Belonging? I enjoyed learning about how the inner rings of a group work. You become an insider the closer you get to the innermost ring. You may get to participate in some decision-making. You become like an elder of the group. But you can also choose to stay in the outer rings if that suits you better. It's about belonging to a group at your own comfort level. My favorite character is the foreign student (from the Philippines?) who was at college the same time as the author. He got invited to the weekly dinners, although he couldn't go regularly. He was going to quit school because he felt so alone but he found community with his dinner companions. He later wrote a letter to the author telling him how much it meant to him to be invited and feel like part of a community. Have you listened to any of Tom Dheere’s other performances before? How does this one compare? This is the first time I've listened to Tom Dheere perform. He has a personable, conversational, believable reading style. The most interesting thing I learned was the difference between religion and a cult. While some religious groups seem to be like cults because their theology is a bit over the top, cults are far more dangerous because they require allegiance to the one leader. People end up doing things that, under other circumstances, would be objectionable (e.g., fanatical loyalty to the leader, the leader is the only one with all the knowledge, power, etc.). Cults are about control; you can't leave. Religions have a code of conduct but members can leave if they so choose. Entertaining and educational read. Geared towards students-either in school or lifelong learners-the book lays out an excellent introduction and provides resources for going in depth. Appeals in particular to those with interests in philosophy and it's intersection with the business world. 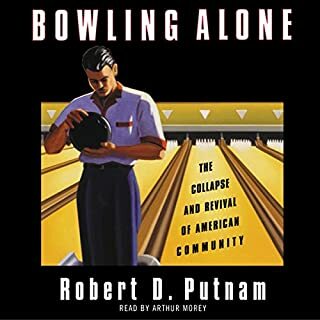 The narration on the audiobook version was quite good. Discussing community is an important thing. Vogl points out how you have to be intentional with community, most community doesn't just miraculously happen. He breaks down the levels of community, you will have newcomers, the newcomers will need sort of a gatekeeper to welcome them into the community. Vogl uses a lot of church examples because for most people Church is the only place that we really have chances for community. Another place that Vogl has examples from is the gym Crossfit, and website Twitch. The interesting thing about Twitch was because they are an online community they also set up events for people to come to at arenas, because the community is already established the events are well attended. 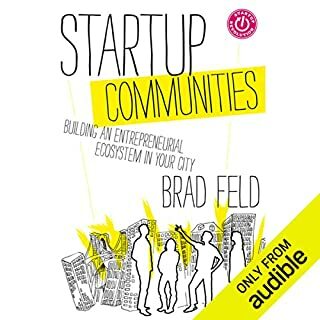 Incredibly insightful for anyone wanting to build or strengthen a community. The steps layed out are easy to follow and implement. A HUGE help.